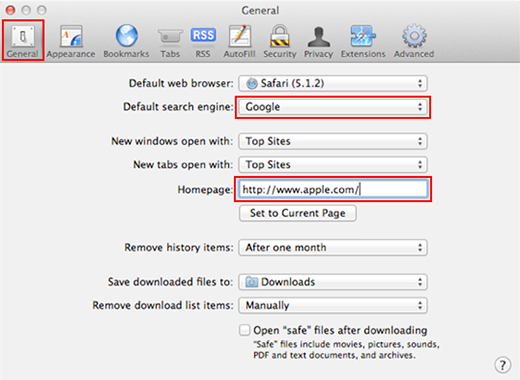 Read the article to learn the main attack vectors used by malware to infect Safari and follow the instructions to remove viruses from this browser. 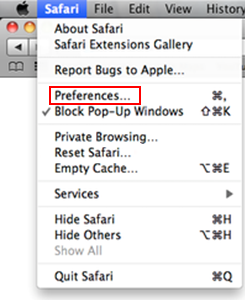 Although there is a version of Safari browser built for Windows operating system, it is native to and primarily associated with Apple’s Mac OS X and iOS. It’s therefore not hard to comprehend the size and scope of user community enjoying this Internet navigation client’s features and benefits. Whereas Windows aficionados are more accustomed to malicious software attacking their machines, Macs are also getting increasingly targeted over the course of the last several years. Since OS X proper is generally known to accommodate a robust security model which isn’t easy to dodge, the cybercrime actors out there tend to take advantage of the platform’s individual components that are more of a low hanging fruit. Safari is by far the most frequently exploited environment in these malware attacks. The infections tailored to compromise this web browser are fairly versatile. Some of them are unique and cannot be encountered elsewhere. 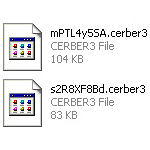 For instance, the fake FBI locker hoax, which was at large in 2013, would specifically go after Safari, while the Windows based counterpart of this virus tended to affect the entire computer. There is a category of infections, mostly adware, that are cross-browser, so they hit Safari, Chrome and Firefox alike. These threats typically infiltrate Mac boxes furtively by accompanying other downloads and installs. This software wrapping model is extremely widespread for serving browser malware. 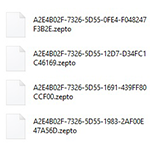 The user might think they got lucky to find some free app that features a desired functionality, but the freeware might carry an unwanted payload that isn’t likely to be noticed along the way. Some examples of such universal bugs are BrowserSafeguard with RocketTab, Search Protect by Conduit, Deal Finder, Trovi, Offers4U, DealFinder, and Rvzr-a.akamaihd.net popup virus, to name a few. Some infections are Mac-specific. These include apps representing the controversial Genieo network as well as tons of ad-injecting extensions such as MacCost, MacitNow, MacSpend, MacSter, MacGlobalDeals, InstallMac and many others. 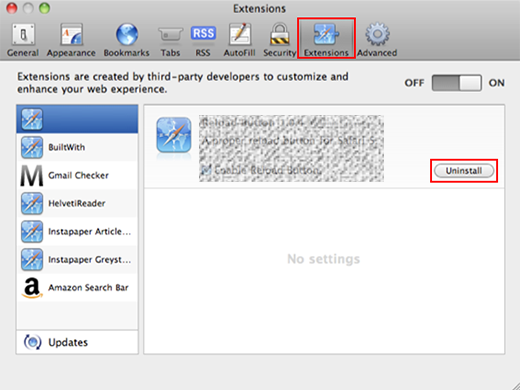 What they all have in common is being manifested as Safari toolbars, extensions or plugins. 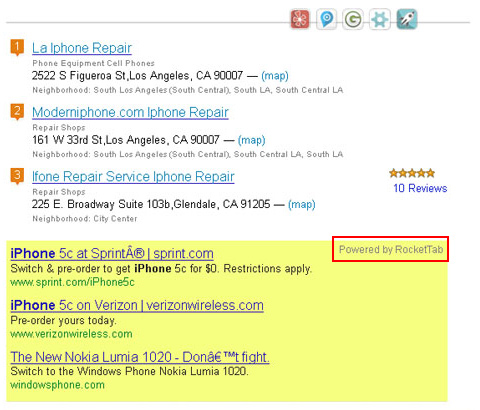 All websites visited in the affected browser will contain multiple advertisements that do not belong there. The ads are isolated to the machine, so the exact same sites won’t be inflated with the annoying sponsored data when visited from a non-infected box. The most efficient method to stay away from Safari malware is to be cautious what you download and install, because bundling with third party apps is the main loophole used by virus makers to infect this browser. In the meanwhile, if you did catch one of these bugs, use the steps below to resolve the mishap. 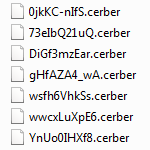 There are several vectors applicable to eradicate malicious code that ended up in your browser. Since both search hijackers and ad-inserting bugs tend to be embodied as malicious extensions or plugins, the first workaround is to uninstall these apps. While this approach is often efficient, sometimes it won’t work – it all depends on severity of a particular threat. 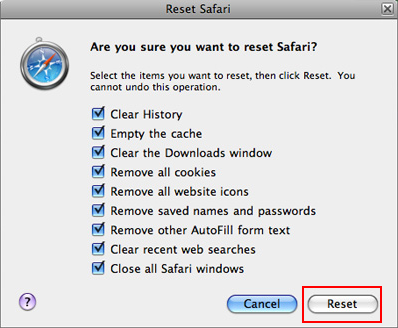 In the worst case scenario, resetting Safari works flawlessly, but this procedure will erase all personalized browsing data. So try the former technique first, and if it doesn’t help, proceed to the latter (steps to be provided below). 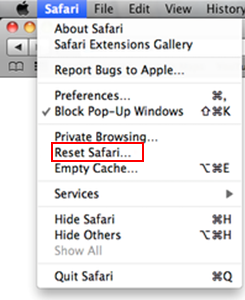 Restart Safari and browse around a bit to check if the problem has been fixed. If the symptoms aren’t occurring anymore, you’re good to go. In the event the issue persists, move on to the next troubleshooting vector. Do some test browsing to see if things are okay now and whether the malware is gone. 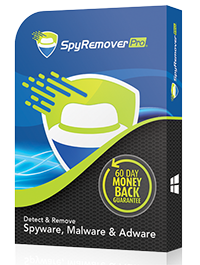 For certainty’s sake, it’s advised to run a scan with automatic security software in order to make sure no harmful remnants of this adware are left. This method should also be employed in case the manual troubleshooting workflows ended up being inefficient.